Our highly skilled chemical engineers prepare the best breed of fertilizers. Pakarab is one of Pakistan's foremost chemical companies that process natural minerals and nitrogen into vital products for farmers and industrial customers. The main product is fertilizers, while industrial uses are also an important segment. Based on Kellogg process, steam reforming of the natural gas, the plant commenced production in November 1978. The plant had capacity of 910 MTPD, which was enhanced by 50 MTPD through addition of Purge Gas Recovery Unit in April, 1986. 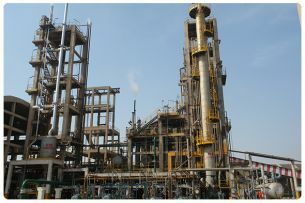 There are total 03 lines of Nitric Acid plant at PFL. 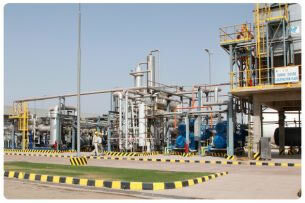 Two identical lines named as "The New Nitric Acid plant" the capacity of each is 600 metric tons per day HNO3, (Total for 02 lines = 1200 MT/Day). Third line is, Old Nitric Acid plant, the capacity is 180 MT/Day. In Pakarab Fertilizer Multan, there is one Urea plant having a capacity of 300 metric tons per day. 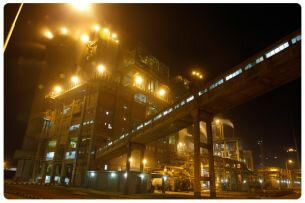 This plant employs Snamprogetti( SAIPEM) Ammonia stripping technology. In addition to standard urea plant sections, the PFL urea plant also handles a pressurized ammonia storage facility and an ammonia cylinder/bowser filling facility. 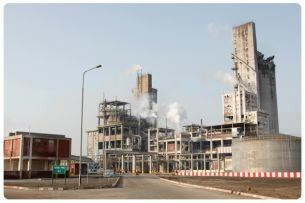 Nitro Phosphate (NP) plant is based on modern European technology. The Plant has been designed to use imported rock phosphate without compromising on product quality. 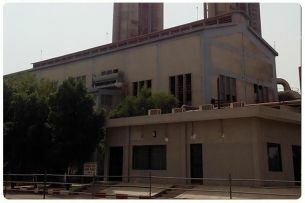 The Plant is capable of producing 1,015 MTPD of NP. NP is a prilled fertilizer in which each prill has evenly distributed amounts of nitrogen (22 +/- 0.5%) and phosphorus (20 +/- 0.5%). Designed capacity of this plant is 1,500 MT per day of Calcium Ammonium Nitrate having 26%+(0.5) Nitrogen contents , 1-2 % Potassium Sulphate and positive coating with coating agent as additional nutrient to stabilize the prills & fulfill the soil requirement. CO2 Liquefaction Plant is designed and installed by Wittemann USA. It is fully automated state of the art production facility with latest PLC & SCDA systems. Plant uses raw CO2 gas from Ammonia Plant to produce food grade liquid CO2 product with 99.99% purity. 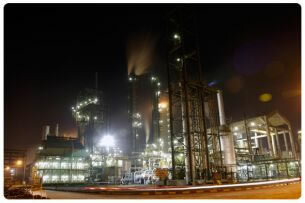 It is the largest CO2 production plant in Pakistan with capacity of 192 MTPD (63,360 MTPA). Product quality is maintained as per requirements of ISBT standard and ensured by Atlantic Analytical Laboratory, USA.